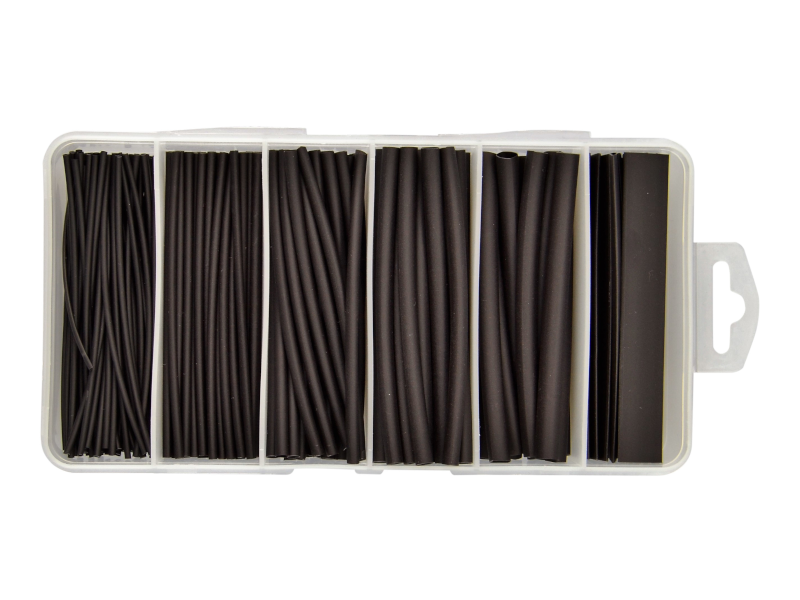 Flexible polyolefin, adhesive-lined heat shrink sleeving kit containing 87 pieces of the most commonly used sizes with a 3:1 shrink ratio. 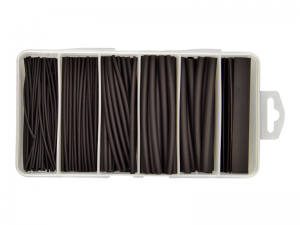 In addition to the electrical insulation and abrasion resistance provided by general purpose heat-shrink sleeving, the adhesive lining prevents moisture ingress by melting and forming a seal around the cable when heated. Applications include sealing over crimped terminals or connectors to prevent corrosion when used in harsh environments (e.g. under-bonnet, marine engine compartment etc.). 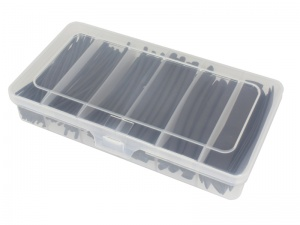 Packaged in a handy storage case and perfect for the garage, workshop or boat.